See previous 74 interviews, including former secretary of state Condoleezza Rice, Senate Education Committee Chairman Lamar Alexander, former education secretary Arne Duncan, and researcher Kirabo Jackson. Full archive here. Many of the most brilliant minds and business leaders of our time have a mental “disability,” according to psychiatrist and author Gail Saltz. The rise in diagnoses in children of behavioral problems and disabilities like attention deficit hyperactivity disorder, depression, and anxiety reflect a growing focus on children with cognitive differences. But the stigma and often superficial attitudes directed at children with these “problems” fail to recognize the cognitive advantages that may also be present, Saltz argues in her new book, The Power of Different. Evidence shows, for example, that Albert Einstein had what we would call attention deficit disorder today, and Charles Darwin had depression and anxiety. Winston Churchill lived with depression throughout his life. Patrick Kennedy suffered from anxiety, depression, and bipolar disorder. Jerry Seinfeld is on the autism spectrum. Michael Phelps was diagnosed with ADHD at age 9. In the 2013–14 school year, 13 percent of students received special education. And while the number of children covered under the Individuals with Disabilities Education Act had been on the decline for years, the trend swung upward in 2011, rising nearly 3 percent to serve 5.83 million students ages 6–21 in the fall of 2014. Failing to properly nurture students with cognitive differences and deeming them “problems” not only fails those children but also fails society by denying industry of potentially brilliant leaders and innovators, Saltz says. 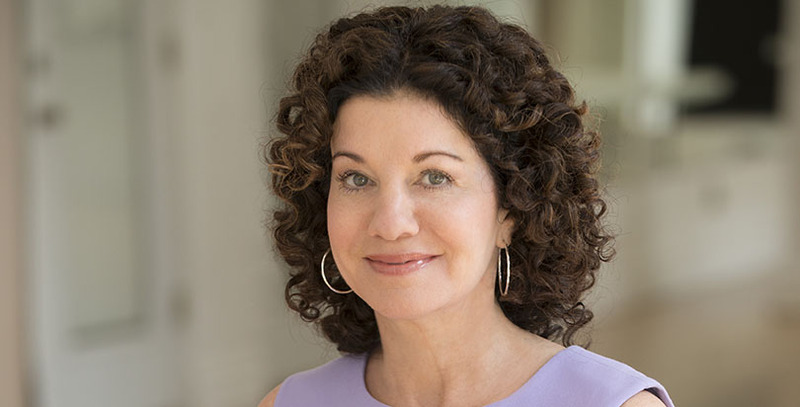 A clinical associate professor of psychiatry at the New York Presbyterian Hospital/Weill Cornell Medicine, she spoke with The 74 about her findings and her new book, detailing how individuals with neural deficiencies in some areas also have major advantages in others. The interview has been lightly edited for length. The 74: Can you briefly explain the science of being “different”? Saltz: I use the term “different” to speak to symptoms we’ve labeled as different kinds of mental illnesses or learning disabilities. Because it’s easier to see this way, people tend to believe that a difference must be structural and black-and-white. But this probably isn’t the case. There’s wide variation in people’s brains, including “normal” brains. We all have relative strengths and weaknesses, and we don’t all have cookie-cutter brains. Even if you don’t have a diagnosis of any sort, your brain doesn’t look like [that of] the person next to you who also doesn’t have a diagnosis of any sort. When we talk about differences, some of it is structural, but most of it has to do with connection. How we process information in our brains has to do with the connections between one area and another. And variations in that are extremely common. How does that affect how we educate? Today’s educational system for the most part is very standardized and uniform. It probably plays to some people’s brains significantly better than others, and because there’s such wide variation and people have such a difference in relative areas of strength and weakness, that impacts what kind of a learner they are. Because educational systems are so uniformly designed — you have 40 minutes, 40 minutes, 40 minutes, then you move to the next thing — students to some degree are expected to be uniformly good at everything. Which, if you look at a large segment of children, is not very likely. We keep packing in more structured education without room for time to nurture creativity, which comes out of allowing a certain amount of daydreaming and opportunity to be innovative in whatever the subject matter is instead of being told exactly what to do and how to do it. Without the flexibility to say you may do this in a more visual or auditory way, we are limiting playing to the strengths of a large segment of the population of children, and [that] has the impact of hurting self-esteem. Children feel failed. Whose responsibility is it to identify these differences? The people who are on the front lines are obviously going to be parents and educators. Today there’s a large lag time of multiple years between symptoms presenting and diagnoses being made — that’s valuable time being lost for a child to step off their development track, and that makes it harder to get them back on track. Mainly because these things are so stigmatized, it’s not that parents are purposely refusing to see what’s going on; it’s just that denial is very powerful. And when you see something upsetting to you, you might not be able to see it. Part of my hope for this book is to understand that many of these things are not a death sentence for your child’s future. They are a mixed bag, they are something that has a relative weakness that needs attention, but that likely comes with a relative strength that needs nurturing and can bode very well for your child. If we could see things more in that way, I think it’d be easier for parents to spot something that’s creating a struggle for their child. How do parents and educators do that? Being educated about symptoms and what they might be so they can recognize when symptoms are starting to interfere with function in areas like school work, relationships, and home life. Usually you do see a change relative to their peers or siblings, and often anxiety accompanies whatever else must be going on, because the child has an awareness that something has derailed them. Educators will see in the classroom when something is going on. You often can spot mood, anxiety, and learning issues in the classroom, so teachers often can see what’s going on and have to be able to talk to parents about that. Obviously first step is to get them properly evaluated, because the earlier treatment is instituted, the better. At the same time, they must be able to look for what the relative strengths might be, and how the classroom situation can be amended to allow the space for the child to play to those strengths. You mention in your book that parents often don’t even know that they, themselves, have a learning disability until they start to see it in their child. In those cases, is the onus on educators if sometimes adults don’t even recognize it for themselves? You can only ask so much. Educators only see a certain viewpoint of a child. And sometimes symptoms might not be manifesting in school. So the onus probably is still on parents mostly, but of course there is wide variation between children. There are certain things that will be more obvious to educators. For example, dyslexia may be more visible to an educator, but depression may be more visible to a parent. So how do we harness differences in children, and how does that manifest itself in future success like that of Einstein or Darwin? I don’t think there is one recipe. When you look at the brain of Einstein, there are certainly differences — there’s more surface-area gray matter, so the question becomes, was he born that way, or did all his work, and thought, and time spent daydreaming about these kinds of issues cause his brain to develop more? The brain is plastic. It stays plastic to some degree throughout life, which is unlike other organs. It’s most plastic as a child, and becomes less plastic as you get older, but the potential for new brain cells and changes to occur remains. So we don’t know whether Einstein was biologically predetermined to have more gray matter, but there were clearly differences, and one of the differences was he had both this ability to hyperfocus on things that interested him, but also this lack of interest about certain subjects that caused him to simply ignore. So in certain times he was deemed a very poor student in school. If you had taken a snapshot from his early years, no one would’ve said, “Oh, he’s going to be a genius.” He carved out for himself this time to think about what he wanted to think about and worked in the way he wanted to work. One could argue he looked like some children today who have attention deficit disorder. And there’s a lot of data to support that those with ADD have more original, innovative, and creative thoughts. And the question is whether they are able to harness those thoughts and implement them. It’s a similar but different situation in Darwin’s case. He clearly struggled with tremendous anxiety, even panic, and obsessiveness through much of his life. It made him symptomatic and unhappy in many ways, but the kind of science Darwin did, you had to be very obsessive, perfectionist, detail-oriented, and there was a good match between the kind of characteristics that he had as part of his pathology, but they were relative strengths in the work that he did. Resilience to keep going and a certain intellect were important features for both Einstein and Darwin. So that’s to say that not every child with differences could do this? Certainly when pathology is severe and untreated, no — having a low IQ would also make it difficult. On the autism spectrum, there’s a separation between pathology and IQ. And it was thought for a long time that those with dyslexia must have low IQ, but we know now that there’s a complete separation of IQ and the question of reading processing. There are many very bright people with dyslexia that have very particular strengths. What about the modern-day high achievers like Steve Jobs, Jeff Bezos, and Elon Musk, whose quirks and “neuroses” have been widely reported? Anxiety seems to have co-evolved with intelligence, worry, and IQ. So there are a lot of very bright people who seemingly have a lot of anxiety and a lot of worry. One advantage of that is they often have a lot of foresight, because they’re very future-oriented and looking for potential potholes. They’re out scoping and scanning the environment for both opportunities and pitfalls. That’s a strength of people with anxiety. That was the evolutionary purpose, to some degree, of anxiety, that you would have a danger signal saying there could be a bear outside the cave, don’t go. People like that, being what we would consider super savvy and idea-filled, are at an advantage in business and in creating an empire. But when it becomes too much, it can be an impediment, and that’s the point: Can you rein in the driven, perfectionistic pathology that comes off as neurotic enough to stay in the sweet spot of strengths? Is that to say that those whom society stigmatizes as people with cognitive disabilities are actually at an advantage? I don’t want to minimize people’s suffering. I’m saying, get treatment, but you have to acknowledge that there are potentially huge advantages conferred, and you should look for what they are and work with them. And it depends what your goal in life is. If your goal in life is to be a happy person, there are a lot of things that come to bear on that, and it’ll vary from person to person, but it’ll be difficult to maintain relationships if you seem too unusual. Whereas the public at large seems to think that these issues mean that you’re simply impaired, I’m saying, actually, many of the most genius and most accomplished people of our time have an issue. Most of them. In looking at iconic geniuses of our times, it was hard to find someone who doesn’t have a mental illness or learning disability. And when you think about it, why do these things exist in such large numbers today? Why haven’t they evolved out of the population? I’d say this is probably why. They, in some ways, can confer advantages. Is there a particular point in a child’s life where identifying and adjusting to a cognitive difference is key? The brain is not even fully formed until the early 20s, but obviously there is a huge amount of development that happens between the ages of 13 and 18. It doesn’t mean you won’t be able to learn something later, but there’s a window early on in single-digit ages when certain development occurs, and if you missed that, the window closes, and that becomes very, very difficult. As an older adult, the brain isn’t as plastic. Children take their cues from parents and educators — from the adults in their lives. The more that we’re able to not stigmatize and shame these issues, the better for all these children, because being able to step forward and say, “I have this to grapple with, and I have this to play to,” confers advantage. Unfortunately, we still have a ways to go in that department, and we should be trying harder to do that, and that includes the health world, where this still remains a second-class citizen. We supposedly have mental health parity, but in reality we don’t; many insurances barely cover anything for treatment, and that leaves parents in a very difficult boat in terms of helping their child with something that’s important to help them with.